Our mobile service is designed to save you money and non-revenue down time. Bio-Med Testing Service mobile collection/testing services are professional, accurate and legally defensible. As Idaho’s premier service provider, Wienhoff Drug Testing offers drug testing panels ranging from the three most commonly abused drugs to panels that include all testable drugs of abuse, including the latest drug trends such as “bath salts” and synthetic “spice / k2” marijuana. 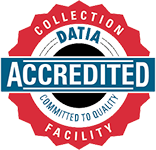 Our partnership drug testing laboratories are the industry’s best, each certified or accredited by our industry’s most prestigious regulatory bodies. We operate a renowned training program for breath alcohol technicians and are widely regarded as experts in the breath-testing field. Wienhoff Drug Testing offers multiple training programs for any company who has a drug-free workplace program, DOT or non-DOT, and industry trainings for companies who perform drug testing collection services. For information on our Health Services Trainings, First Aid Classes , CPR Classes, Bloodborne Pathogens, etc, please click this link: Occupational Health Services. Welcome to Wienhoff Drug Testing! The goal of an effective employment drug and alcohol program is to rid the workplace of drugs and alcohol, not people. Wienhoff Drug Testing is your single-source for DOT and non-DOT Drug and Alcohol Testing Program Administration and Safety Health Services. Consortium/Third-Party Administrator (C-TPA) for DOT-Regulated Testing: Navigating the complexities of DOT regulations is often difficult and intimidating to business owners and managers. Wienhoff Drug Testing is here to assist employers in the administration of DOT random testing programs to keep compliance as seamless as possible. Our services include managing the random testing pool, specimen collections, policy consultation, driver history checks and supervisor training, to name a few. within our network of industry experts. Training and Education: Wienhoff Drug Testing facilitates comprehensive training services including DOT Supervisor Reasonable Suspicion, DOT Designated Employer Representative and Employee Drug and Alcohol Awareness classes. Wienhoff Drug Testing also trains other providers in our industry in urine specimen and breath alcohol collections. Safety and Health Services: Wienhoff Drug Testing Health Services Program offers an array of health services including CPR and First-Aid training, Bloodborne Pathogen training and exposure support, vaccination services, DOT physical exams, flu shots and many other services designed to assist employers in maintaining a safer workplace and OSHA compliance. DNA Testing: Wienhoff Drug Testing offers full service DNA testing including notarized, courtadmissible relationship (paternity, sibling, etc) testing and non-admissible, non-notarized testing for private use. Background and Driver History Checks: Wienhoff Drug Testing offers criminal history checks using a massive, nation-wide database and DOT required Driver History Checks, both at reasonable rates with very quick turn-around. Wienhoff Drug Testing’s Health Services Program offers an array of health services including CPR and First-Aid training, Bloodborne Pathogen training and exposure support, vaccination services, DOT physical exams, flu shots and more. Wienhoff Drug Testing offers full service DNA testing including notarized, court-admissible relationship (paternity, sibling, etc) testing and non-admissible, non-notarized testing for private use. We facilitate comprehensive training services including DOT Supervisor Reasonable Suspicion, DOT Designated Employer Representative and Employee Drug and Alcohol Awareness classes. Wienhoff Drug Testing offers criminal history checks using a massive, nation-wide database and DOT required Driver History Checks, both at reasonable rates with very quick turn-around.